One issue—one health care issue, no less—has brought together a small alliance of congressional Democrats and Republicans in recent years: the need to better help people with chronic health conditions. A new RAND study shows why, and adds a note of urgency to the effort. It found that 60 percent of American adults now live with at least one chronic condition; 42 percent have more than one. They account for hundreds of billions of dollars in health care spending every year. The problem is only going to get more urgent. 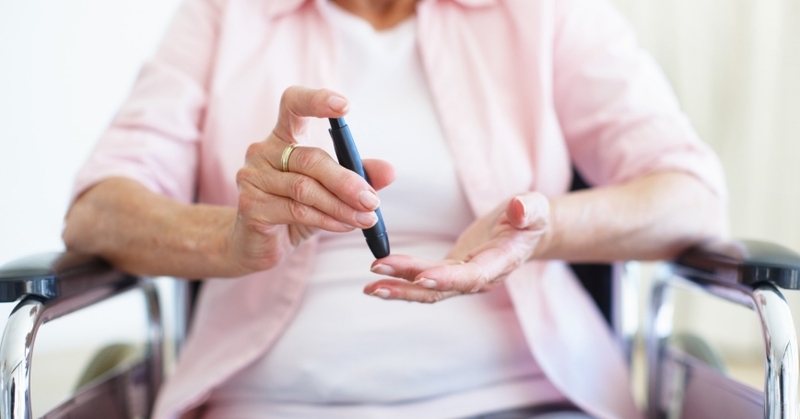 As the RAND study showed, chronic conditions like diabetes and high blood pressure increase with age—as an entire generation of baby boomers is about to find out. In just two words, the term “chronic condition” captures a huge swath of what ails America. As used in the RAND study, it includes any physical or mental health condition that lasts more than one year and either limits ability or requires ongoing treatment. That means high cholesterol and high blood pressure, anxiety and arthritis, heart disease and diabetes. RAND researchers used data from a national survey on health care expenditures to compile a chartbook with the most up-to-date numbers on the cost and prevalence of such chronic conditions. Their estimates suggest that nearly 150 million Americans are living with at least one chronic condition; around 100 million of them have more than one. And nearly 30 million are living, day in and day out, with five chronic conditions or more. Those at the highest end of the scale, with five or more conditions, represent about 12 percent of the U.S. adult population, but account for more than 40 percent of U.S. health spending, the RAND study showed. That could translate into more than $1 trillion a year, based on current estimates of overall health care costs. But prevalence rates and health care spending provide only a partial measure of the cost of chronic illness. Just ask Jenni Grover. Jenni Grover needs nine prescriptions a day for her many chronic health conditions. 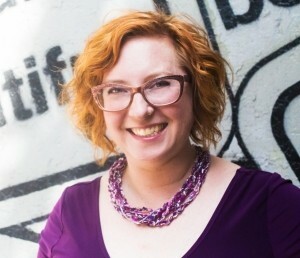 She's 44 years old now, a freelance writer in Chicago, and—with bright orange hair, stylish glasses, and a nose ring—not at all the usual face of chronic disease. Even that pamphlet her doctor gave her featured a gray-haired senior citizen on the front. The RAND study showed that people 65 and older are by far the most likely to have chronic health problems, but it found something else as well. Around half of people in their mid-40s to mid-60s are living with multiple health conditions, too. The researchers found that women are more likely to have multiple diagnosed conditions than men, but that might be because women tend to see their doctors more often. Likewise, white people were more likely to report having chronic conditions than black or Hispanic people, but that could be because they have more access to insurance and health services. The study used the most recent data available, from 2014—too early to detect any possible impact from the Affordable Care Act, whose major provisions were only just starting to take effect. It found little change since 2008 in the overall prevalence of people living with multiple chronic conditions, but that masks some troubling increases in specific conditions. Rates of hypertension jumped 2.5 percentage points among men, for example; among women, rates of anxiety disorders increased by 4.4 percentage points. 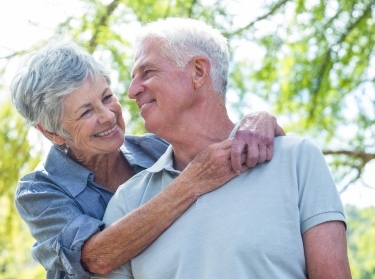 People 65 and older will make up nearly a quarter of the population by 2060. Federal census estimates provide some idea of what that will look like. They project that people 65 and older will make up nearly a quarter of the U.S. population by 2060, up from around 15 percent now. A separate study calculated that, as early as 2030, roughly two of every five people in that age bracket will be living with three chronic conditions or more. Numbers like those have the attention of lawmakers on Capitol Hill. Since 2014, the Senate Finance Committee has been working on proposals to improve care for people with chronic conditions. The bipartisan bill that committee members introduced in April seeks to better coordinate care for people on Medicare with multiple chronic conditions, and help them manage their diseases. Committee members called it the CHRONIC Care Act of 2017, for “Creating High-Quality Results and Outcomes Necessary to Improve Chronic Care.” It has not yet made it to the Senate floor for a vote. A coalition of patients, health care providers, and advocates, the Partnership to Fight Chronic Disease, sponsored the RAND study as part of its effort to raise awareness, on Capitol Hill and elsewhere, about the burden of chronic disease. “We've got a long way to go, but we are starting to see some very positive steps,” said Candace DeMatteis, the policy director of the organization. Her interest is not just professional. Her 79-year-old father Jim is a diabetic with high blood pressure and such painful arthritis in his hands that it wakes him up at night. Jenni Grover likes to say that she doesn't suffer; she endures. She decided long ago to laugh at her multiple chronic conditions whenever she can, a perspective she shares on a blog she has written since 2005 called ChronicBabe. Sample advice: Shout out “Hey-oh!” rather than groaning whenever the pain gets bad—“to take some of the air out of this big hot-air balloon that is chronic illness.” She signs her emails, “Be AWAP”—As Well As Possible. She has 6,000 followers on Twitter, and 1,500 subscribers on YouTube. Christine Buttorff, Teague Ruder, et al. Previous Blog PostNavigating the Uncertain Path to DecarbonizationNext Blog PostHow Should Water Professionals Invest in Resilience?